In Outdoor On March 6, 2019 No comments. 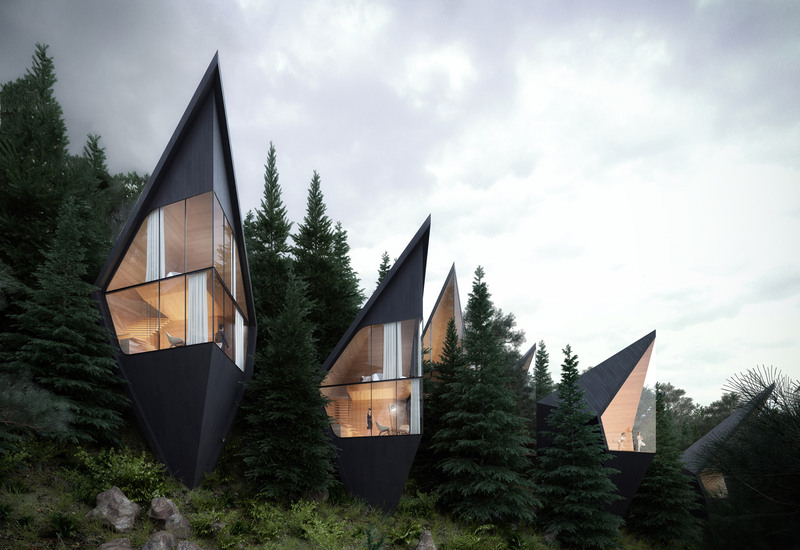 Sharply pointed roofs and blackened wood cladding characterise these treehouses that Peter Pichler Architecture has designed for a mountain forest in the Dolomites of northern Italy. 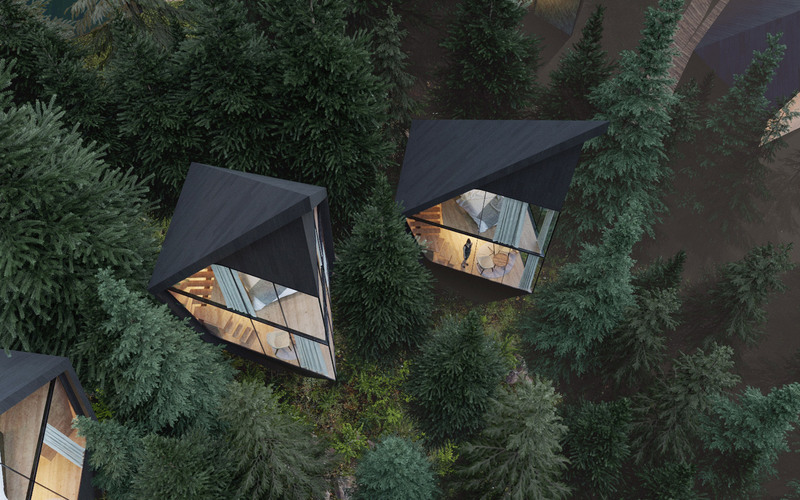 The Milan-based studio, led by architects Peter Pichler and Silvana Ordinas, designed the Tree House structures to serve as hotel rooms, offering tourists the opportunity to connect with nature. “The project is conceived as a ‘slow down’ form of tourism, where nature and the integration of architecture within it plays the primary role,” said the studio. “We believe that the future of tourism is based on the relationship of the human being with nature. Well integrated, sustainable architecture can amplify this relationship, nothing else is needed”. 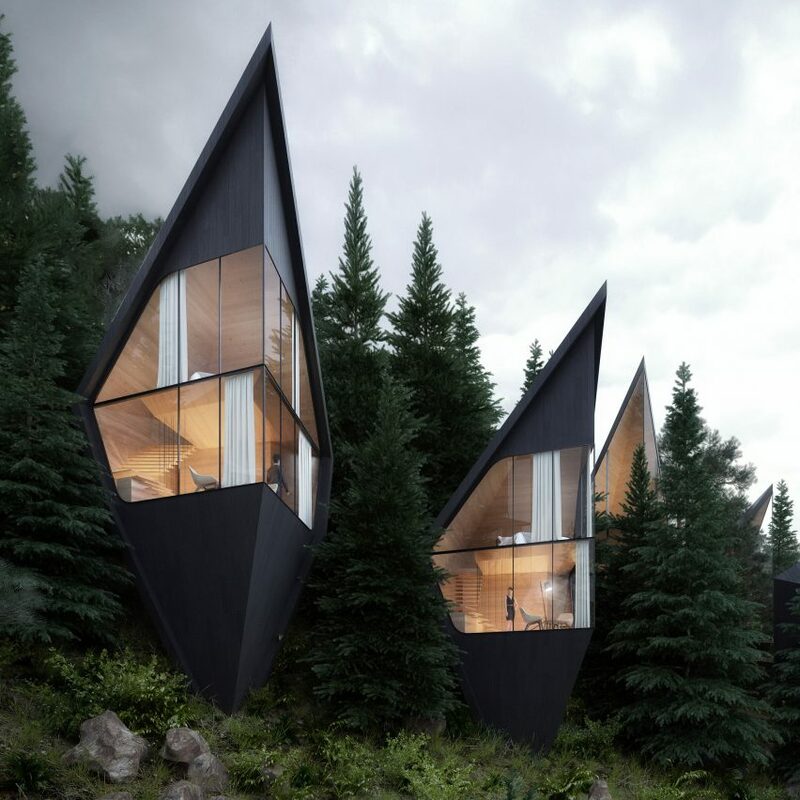 The treehouses will range between 35 and 45 square metres in area, but each one will boast the same steeply pointed roof and base, intended to echo the forms of surrounding fir and larch trees. The structures will be built almost entirely from locally sourced larch and fir wood, while the cladding will be stained black to blend with the surroundings. Each one will rest on small concrete foundations, with additional structural support provided by the structural glass walls. 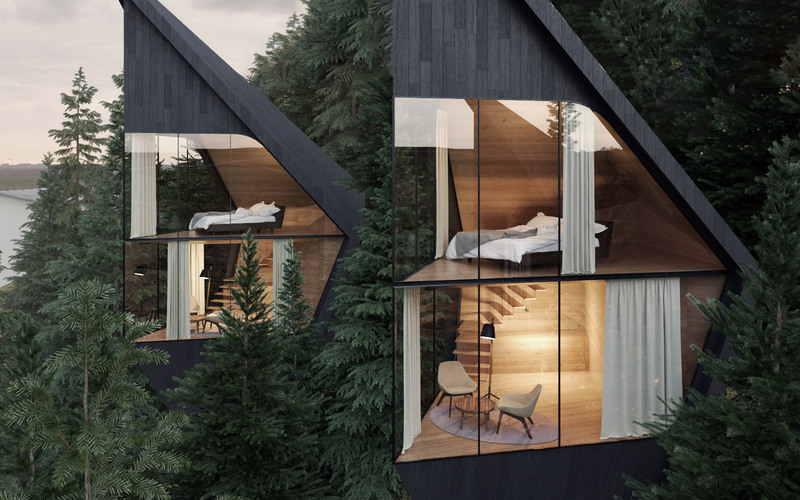 Inside, Peter Pichler Architecture plans to line each treehouse with untreated fir wood to create a warm interior that contrasts with the facades. They will each comprise two levels that are orientated to maximise views out through the floor-to-ceiling windows. The lower level will contain a reading and lounge area, alongside a bathroom and an open-tread stair that leads to the upper level. Upstairs will be a dedicated sleeping area, with beds orientated to look out over the mountainscape. There will also be a second small bathroom tucked at the back of the structure. Each treehouse will be completed by a tank for collecting and reusing rainwater, while geothermal heat pumps will be used for heating in the winter months. Tree House is not the first project that Peter Pichler Architecture has designed for the Italian Dolomites. In South Tyrol, the studio has completed a pair of holiday homes with mirrored facades, a black timber restaurant for skiers and transformed a hotel with pared-back concrete facades and minimalist interiors. The post Peter Pichler designs Tree House hotel rooms for forest in the Italian Dolomites appeared first on Dezeen.